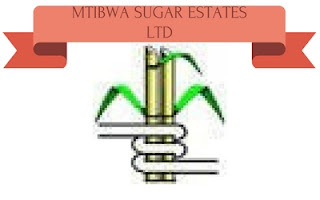 Leads the gardens team in creating and maintaining the estate gardens, housing gardens, orchards and vegetable gardens for Mtibwa Sugar Estates. In addition, manages and maintains a flower, shrub and tree nursery for the estate. Develops and monitors departmental structure and responsibilities to accomplish short-term and long-term goals. To perform this job successfully, an individual must be able to perform each essential duty satisfactorily and performs other duties as assigned. Establishes and maintains high horticultural standards and practices; providing direction, training and motivation for the horticultural staff, interns and volunteers. Is a hands-on leader, actively working in the daily horticultural tasks in the gardens, nurseries, orchards and vegetable gardens. Manages, leads and supports the garden supervisors. Manages and supports overall plant health and soil nutrition strategies for all gardens to include sustainable gardening practices and integrated pest management. Responsible for the operational department budgets, budget monitoring, strategic planning, detailed weekly planning and any horticultural capital projects as needed (i.e, new gardens). Directly supervises 3-5 employees and in-directly responsible for a team of 30-50 employees. The requirements listed below are representative of the knowledge, skill, and/or ability required for this position. Must possess a valid Tanzanian Motor Bike/Car Driver’s License . Ability to effectively present information and respond to questions in both English and Swahili. Plan execute and supervise electrical maintenance to all electrical systems and equipments including 11KV and 33KV power lines and switch gears. Advice management of latest electrical applications which will improve productivity. Efficiently utilise and supervise the electrical manpower put for various electrical duties. Exercise any other duty assigned to by management. Self-starter and able to work under pressure.